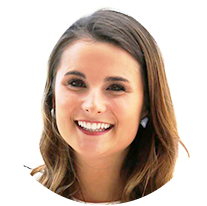 Born and raised in Richmond, Virginia, Brooke joined the WebStrategies team with a background in start-up marketing, a dabble in the fashion industry, and social media management for a local advertising agency. With a passion for the digital space and strategic content creation, she is inspired by creative problem-solving that moves clients forward. Her love for people and all things digital marketing runs deep. Brooke graduated from Christopher Newport University as President of the Class of 2016. Her degree focuses on Mass Communications and a minor in Leadership Studies. In her spare time, Brooke is an avid half marathon runner, coffee shop connoisseur and loves the challenge of learning a new language (currently Dutch). She serves as the Director of Membership Engagement for the Richmond American Marketing Association and enjoys adventures with her Norwegian Elkhound rescue dog.